(2010). Dehydrogenation of Propane to Propylene Over Pt-Sn/Al2O3 Catalysts: The influence of operating conditions on product selectivity. Iranian Journal of Chemical Engineering(IJChE), 7(2), 51-57.
. "Dehydrogenation of Propane to Propylene Over Pt-Sn/Al2O3 Catalysts: The influence of operating conditions on product selectivity". 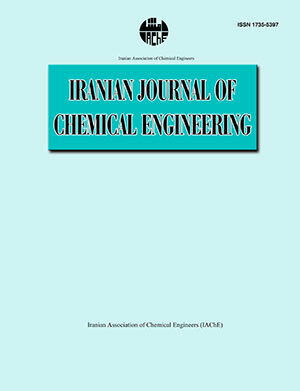 Iranian Journal of Chemical Engineering(IJChE), 7, 2, 2010, 51-57. (2010). 'Dehydrogenation of Propane to Propylene Over Pt-Sn/Al2O3 Catalysts: The influence of operating conditions on product selectivity', Iranian Journal of Chemical Engineering(IJChE), 7(2), pp. 51-57. Dehydrogenation of Propane to Propylene Over Pt-Sn/Al2O3 Catalysts: The influence of operating conditions on product selectivity. Iranian Journal of Chemical Engineering(IJChE), 2010; 7(2): 51-57.